Check out this History Author Show episode from last week, featuring Dan Arsenault’s Church for Skeptics episodes Messiah Factor and Is Jesus the Messiah?, plus Joseph Read giving voice to Apostle Peter. Additional information on the dating of the crucifixion is well-sourced and compiled in James D. Agresti’s book, Rational Conclusions. April 3rd, A.D. 33 – the Crucifixion Date? Here are sneak peak excerpts from a not-yet-released radio episode. Joseph Read is the voice of Apostle Peter. As featured on the History Author Show: What does Christ have to do with Christmas Day? The following article by Amanda Read was originally published in some form at The Washington Times Communities. Christmas Day is acknowledged and celebrated internationally. But its significance is not widely understood. Many words have been spent to explain, justify, excuse, or debunk the holiday by turns, with frequent arguments hinging upon the fear of tainting Christianity with paganism. Traditionally, Christmas has been celebrated as the birthday of Jesus Christ, even though many educated people know that a variety of factors indicate that He was not actually born at that time. How did the excitement around December 25th originate, then? Was it a pagan festival later co-opted by intellectually and spiritually lazy Christians for who-knows-what-reason? Does celebration on December 25th originate from nothing more than adaptations of winter solstice festivals? It would certainly be easy to accept these notions and move on. But history has a goldmine of information beyond that, and it would be a shame to miss out on it this season. This article will be a brief introduction to a sadly forgotten Biblical heritage. Luke records little details in his volume of the Gospel which indicate when the Messiah entered the world. Luke was a scientific-minded Greek physician who began his record with the story of the Angel Gabriel visiting an elderly Jewish priest. Luke doesn’t describe him as a generic priest, however – but rather specifically as Zacharias of the division of Abijah. This detail is a time-marker, because each priestly division had particular times of the year at which to serve. It is probable that as part of the eighth priestly division (1 Chronicles 24:10), Zacharias was serving during the month of Sivan (May-June), and since Elizabeth apparently became pregnant with John the Baptist shortly afterward (following Shavuot/Pentecost), we can understand the significance of what Luke wrote next. When Gabriel told Mary that she would conceive the Messiah as a virgin, he encouraged her with this piece of personal evidence: Elizabeth (her aged and previously barren cousin) was six months along with a baby herself. That means that the Annunciation and Mary’s subsequent conception of Jesus (or Yeshua) likely happened in December. Thus, the Light of the World became incarnate most likely during the winter Feast of Dedication, also known as Hanukkah or the Festival of Lights. Although Hanukkah was a later Jewish festival that developed outside of the Torah, it has spiritual and political significance for believers and is mentioned in the Gospel (John 10:22). The conception of Jesus Christ at Christmastime is a hypothesis further supported by the fact that nine months later is when the Feast of Tabernacles (Sukkot/Succoth) would take place. This occurred in autumn, a more reasonable time for the shepherds to be watching their flocks at night in those fields of Bethlehem that were acquired ages beforehand through the romance of Boaz and Ruth (King David’s great-grandparents). Furthermore, since rabbinical evidence suggests that John the Baptist was born at Passover (Pesach) in the month of Nisan, it follows that Jesus Christ, who was six months younger, would be born six months later in the month of Tishri during Sukkot. Sukkot was initiated in the Torah to commemorate the Israelites’ camping in sukkahs (booths) as they journeyed through the wilderness. But it was also a prophetic celebration that looked forward to the day when the Messiah “tabernacled among us” (John 1:14). 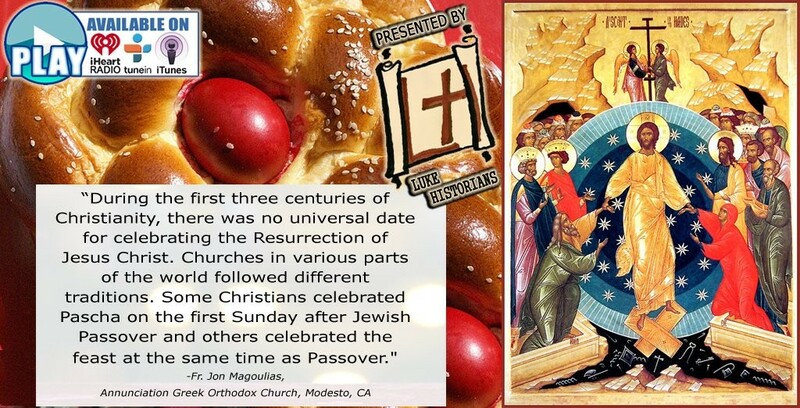 Similarly, the feast of Passover is especially linked to milestones in Christ’s life – His crucifixion and resurrection. Some Christians might find references to the Torah confusing and irrelevant because our Hebraic heritage is oftentimes mistakenly disregarded. However, Jesus Christ (the Greek variant of Yeshua Messiah) did not come to abolish the “Law or the Prophets,” but to fulfill them (Matthew 5:17). The New Testament is far easier to understand if it is read in the context of the Old Testament. Both testaments are equally the Word of God and thus are written for all believers – and this offers insight into part of what sets the Bible apart from other religious writings. Despite its vast subject matter and timeframe, the entire Bible points to one character – Jesus – whom it defines as the Son of God and the Savior of the world. We have now seen that there is evidence that the month of December was the time at which Christ’s life on Earth began – at conception. But what is so special about December 25th, precisely? Where did the tradition of celebrating Christ’s birth and giving gifts on this winter day originate? Christian historian Sextus Julius Africanus (ca. A.D. 180 – ca. 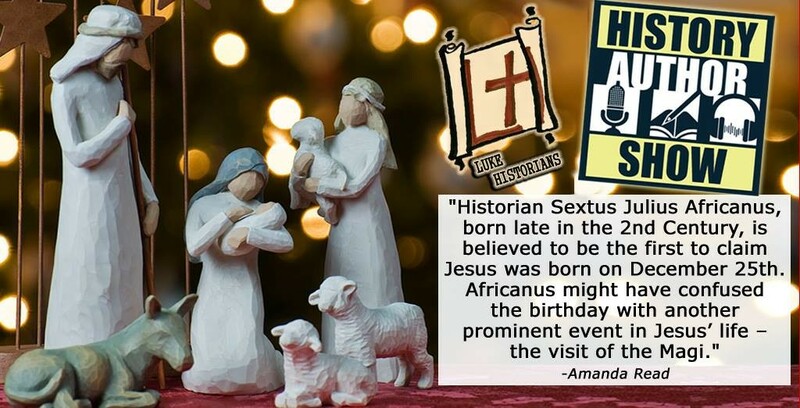 A.D. 250) is said to have been the first to claim that Jesus was born on the 25th of December. It turns out that Africanus might have had Jesus’ birthday confused with another prominent event in His life – the visit of the Magi, scholars and astronomers from Babylon who likely were intellectual descendants of the prophet Daniel. How could following a star lead somebody to the location of the Christ child? In order to understand the star-gazing journey memorialized in Christmas songs and fashion, we have to once again look to the Old Testament. The purpose of stars, planets, etc. 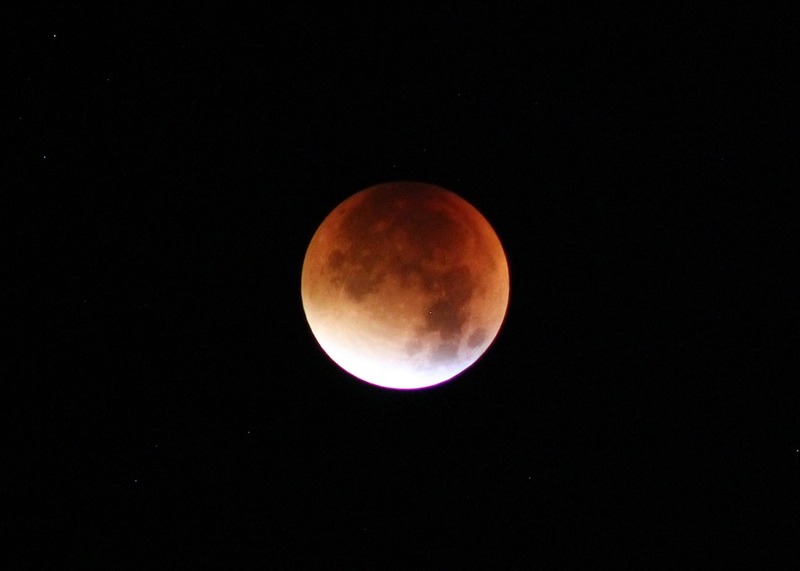 was mentioned in the beginning – “for signs and for seasons and for days and years” (Genesis 1:14). The Scriptures say that the stars and constellations were named by the creator Yahweh, not by mankind (see Psalm 147:4, Job 9, Isaiah 40:26, and Amos 8) – although different cultures ascribe a variety of stories to these preformed patterns in the sky. The actual Hebrew words in those sentences that are often translated as “declaring” or “telling” are çâphar (ספד) and nâgad (נגד). The meaning of çâphar is “to score with a mark as a tally or record, i.e. (by impl.) to inscribe, and also to enumerate; intens. to recount, i.e. celebrate:-commune, (ac-) count, declare, number, + penknife, reckon, scribe, shew forth, speak, talk, tell (out), writer” (Strong’s Concordance). We now know that the heavens contain a system so mathematically precise that you can fast forward and rewind an image of its motions with modern software. Researching independently, Frederick A. Larson discovered that a peculiar astronomical event happened in years 3 and 2 B.C. (see The Star of Bethlehem DVD). After examining the Biblical text and ancient astronomical records, Larson deduced that the brilliantly bright “Star of Bethlehem” must have been an extremely rare triple conjunction of the planet Jupiter with the star Regulus. Sure enough, astronomical software reveals that in the months leading up to December 2 B.C., this mysterious regal sign in the sky can be seen moving westward, evidently at the time the Magi were traveling toward Israel. On December 25th, 2 B.C., the star (via retrograde motion) stopped right above the little town of Bethlehem. By then the wise men were staying in Jerusalem (just five miles north of Bethlehem), having recently consulted with King Herod. Matthew wrote that when the star stopped over Bethlehem, the Magi rejoiced, paid a visit to Mary and Joseph’s house, and gave little Jesus gifts of gold, frankincense and myrrh (Matthew 2:9-11). Thus, practically speaking, December 25th, 2 B.C. might have been the “first Christmas” – a day of gift-giving in honor of the arrival of the Messiah. Whether or not you believe in celebrating Christmas, it is nice to know December 25th’s place in history! When Does a Baby’s Life Begin According to the Bible? Q. Does the Bible say that human life doesn’t begin until a baby draws its first breath, as Kermit Gosnell and others have asserted? A. No. The Bible describes humans as living beings in the womb. Presumably the life that God breathed into Adam is not the same as Adam breathing it back, nor is there any indication that God breathes equally on every person born. Life in the womb does not require breathing. Life outside the womb does. Since when is the function of lungs the measure of life? Why not a functioning heart, or kidneys? I’m guessing that neither of those were functioning in Adam before God put life into the clay He had molded, either. a prim. root; to puff, in various applications (lit., to inflate, blow hard, scatter, kindle, expire; fig., to disesteem): – blow, breath, give up, cause to lose [life], seething, snuff. These obviously indicate that something different from natural inhaling was happening. Yahweh expired some of His very own divine nature into the first human being, and that nature has been imparted to all of Adam’s descendants in our DNA. In Psalm 139, David famously describes personhood in the womb. Some have mistaken Exodus 21:22 for not equivocating abortion with murder. A closer look at the original wording, however, indicates that the topic in that part of the law is premature birth, not miscarriage. But if there is any remaining doubt concerning where Scripture stands on the personhood and beginning of human life, the first chapter of Luke removes it. Elizabeth, six months pregnant with John the Baptist, felt him leap within her womb in response to the voice of Mary, who had just conceived Jesus Christ by the Holy Spirit. Name That Disciple! Judas? Thaddeus? Lebbaeus? Q. Matthew 10:3 names a particular disciple Lebbaeus Thaddeus, while the corresponding passage of Luke 6:16 names him Judas of James. Is this the same person? If so, who is he? A. Yes. Judas “Lebbaeus” Thaddeus. The presence of a disciple among the original twelve who is listed by various names in two different Gospel introductions has made some wonder what reason there is to believe that he is the same person in each account. Perhaps the question should be instead, what reason is there to believe he isn’t the same person? Judas-Not-Iscariot is referenced in Matthew 10:3, Luke 6:16, John 14:22, and Acts 1:13. The only time he appears with a name other than Judas is in Matthew, when it is specified that his surname is Thaddeus but he is called “Lebbaeus” (Λεββαῖος), which in Greek is a word that has Hebrew roots and means “near to my heart.” Some interpret this to actually mean “with heart,” as in courageous. Evidently this was Judas’ nickname. The additional title “of James” indicates that he was brother of a man named James. Ever since I first read about the Nephilim when I was a teenager, I was always fascinated by them. Indeed, the idea of a race of “Supermen” has always intrigued us, throughout history. Achilles, Hercules, Arthur, Beowulf, Romulus and Remus are all examples of this. The Nazi Germans were obsessed with it, and modern science to this day still strongly flirts with the idea of creating a “genetically perfect” super being. So who, or what, were the Nephilim? There is much controversy to this day regarding this question, as the Bible itself is very unclear about it. Indeed, the Hebrew word itself, הַנְּפִלִ֞ים, or “han·nə·p̄i·lîm”, “The Nephilim”, is unclear, and has no approximate translation. The King James Bible translates it as “Giants”, but most modern translations just use the Hebrew word. The most likely origin of the word comes from the verb “Naphal” נָפַל “to fall”. It also could mean: abandon, attacked, cast down, desert, defect, downfall, fail, felled, prostrating, or topple. Nephilim are only mentioned 3 times in the Old Testament: Once in Genesis 6:4, and twice in Numbers 13:33. The first, held by Orthodox Jews to this day, is that the Sons of God were actually a class of nobility, who took common girls as concubines and begot the Nephilim. But, in my view, this makes little sense. Why should such offspring be supermen? The second, held by some Christians (The Ethiopian Orthodox Church, and notable historical figures such as St. Augustine, John Chrysostom, and John Calvin) holds that the Sons of God were of the line of Seth, and that the Daughters of Men were of the line of Cain. In essence, the Nephilim were a result of the union of believers with unbelievers, or of Godly men with ungodly women (makes Benjamin’s recent post about marrying nonbelievers all the more terrifying). Again, this seems unlikely in my view, as most children born today would fit this description, yet they aren’t super human. Nor is it logical to assume that all of the descendants of Seth would be Godly, as Yahweh floods the Earth and kills all of them soon afterward. Which brings us to the third, and most commonly accepted view in Christendom. The Sons of God were angels. This is supported by the fact that the Hebrew phrase for “sons of God” used in Genesis appears only 3 more times in the Old Testament, in Job. “One day when the sons of God came to attend on Yahweh, among them came Satan.” Job 1:6. From these descriptions in Job, it is very clear that the Bene Ha Elohim are angelic beings, as they enter before God’s presence, and were present at the time of creation. They could not be men, either of Seth’s line, or of some class of nobility. As for the Nephilim themselves, Genesis 6 explicitly states that they existed after the events described there, which would mean that some of them either survived the flood, or more likely, others were born in the same manner after the flood. Numbers supports this, by connecting them with the “giants” described by the scouts upon returning from Canaan. Curiously, my New Jerusalem Study Bible has quite a bit to say about the Nephilim, or at least, the men who were assumed to be descended from them, and I included some of it below, with the cross references. The Anakim, as also Emim, Rephaim, and Zamzummim (or Zuzim), Dt 2:10-11, 20-21; see Gn 14:5, are legendary names for the aboriginal inhabitants of Palestine and Transjordan. These were identified with the fabulous Nephilim of Gn 6:4 or Giants of Nb 13:33, the raisers of megalithic monuments, see Dt 3:11. In the days of Joshua, the Anakim still constituted an aristocracy in the highlands of Hebron and in the coastal region, Jos 11:21 seq. ; 14:12-15; 15:13-15; 21:11. The Rephaim persisted in the country known as Bashan, Dt 3:13; Jos 12:4 seq. ; 13:12, while in Judea their memory was preserved in the Valley of the Rephaim, south-west of Jerusalem, Jos 15:8; 18:16; 2 Samuel 5:18. David’s soldiers finished off the last descendants of Rapha, their eponymous ancestor, 2 Samuel 21:16-22; see 1 Chronicles 20:4-8. The word repha’im later became a synonym for the ghosts in Sheol, see Jb 25:5 seq. ; Ps 88:10; Is 14:9; 26:14, 19. The translation error centers around the word εὐδοκίας. Prior to that word, the sentence is translated thusly: “Glory in the highest to God and on earth peace to men….” As you might have guessed, εὐδοκίας means “good will”. Since it is the last word in the sentence you might think that the sentence should read the same as the English version presented at the start of this post. For the Greek to read in the English presented at the beginning of this post εὐδοκίας would have to be εὐδοκία. Using the -ία ending would put the word in the nominative case. This would make the word the subject of the sentence (or in this case the subject of the second independent clause in the sentence) on equal footing with the word εἰρήνη (peace) resulting in the translation “peace and good will to man”. The answer is simple: there are just as many manuscripts utilizing the nominative as there are manuscripts utilizing the genitive case. However, textual criticism indicates that the genitive case translation is more correct than the nominative case translation. It is much more likely that over time the sigma (ς) at the end of the word was mistakenly dropped than that it was mistakenly added. This is made further probable by the interesting fact that sigmas (ς) were the final letter in so many words that scribes took to denoting them with a small dot similar to an apostrophe to speed the scribal process. Having faithfully translated this verse for you, my readers, I leave you to decide: what are the theological implications?